"The key to healthy tree growth is to get the right tree in the right place," said Dr. David Nowak in a phone conversation with me last week. 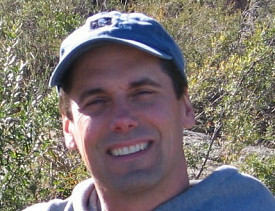 Nowack is a Project Leader at the USDA Forest Service Northern Research Station in Syracuse. Nowak studies the functions of trees: air pollution removal, carbon dioxide removal and storage, reduction of UV radiation, air temperature effects and water effects. "When you put the tree out there as a physical attribute, it affects the physics and the chemistry of the air around it. The other function we look at is energy conservation, which is important to homeowners," he said. According to Nowak, "How you plant a tree in relation to your building in terms of placement" is the biggest factor that determines how much energy savings the tree can provide. Nowak said, "Generally, if you plant trees in an urban area around your home it tends to have cooling effects because it evaporates a lot of water through the leaves. The other effect is shading the building. If you shade your building, the heat is not beating on the building. In the northern regions, all our energy use is not necessarily used in the summertime." Nowak continued, "This is where design of trees planted around a building becomes more important because if I shade a house during the summertime, that's a good thing. If I shade a house during the wintertime, that's not a good thing. Even deciduous trees, which block anywhere between 70 and 90% of the radiation when its in leaf will still block about 30 to 40% of the radiation in the wintertime from the branch structure. So having a tree out of leaf is still shading the building will have impacts on energy use in the wintertime." On a large scale, the city of Sacramento has systematically used trees to lower peak energy use, with great results. In the late 1980s, the rate-payers of the Sacramento Municipal Utility District (SMUD) voted to close the Rancho Seco nuclear power plant, which left the rate payers and the municipality facing much more expensive power sources. SMUD looked to the Sacramento Tree Foundation to reduce the load of peak energy consumption. This year the program is 20 years old, and they've planted just under 500,000 trees. According to Ray Tretheway, Director of the Sacramento Tree Foundation, "If you plant 100 trees in a neighborhood, about 3 trees per house, the homeowner will save about 30% on his energy bill during the summer months. That's how it started. But we got a lot more sophisticated. That's not demand side management. That's just evapotranspiration and direct shading." Tretheway continued, "About 3 years into the program in the early 1990s, SMUD said, 'We need to make this a demand side management.' In other words, peak power during the summer months during peak demand time that the utility doesn't have to purchase or produce during the time when energy is the most costly - 200 to 400 times more expensive. They created a demand side management model, which is based on 20 years of lifetime of the tree. There are 3 principle components: The size of the tree, the orientation of the tree being planted to the house, and the distance. So I can share with you that the best tree we can plant for present value benefit is a large tree on the west side, 35 feet from the house. That's the #1 tree for energy savings. It can save $200 a year. We also know a small tree can save $32 a year to a utility. So out of the 72 cardinal points, we have 26 points where we can justify planting a tree for this fathom power plant." "Out of those 72 points we eliminated about 44 of them. In other words, if you put a large tree about 25 feet away on the south side, there will be no peak energy savings for the utility because the sun is straight ahead. It's not catching shade at all. We wouldn't plant a large tree on the east side. We send a community forester out to each and every home. All the trees on the west side are very effective. The trees on the east side are very effective. Then it goes around kind of how the sun goes. It comes up in the east and swings around to the west. So then the southeast is a very effective area, and southwest is good too. But directly south is no good, and north is off." Tretheway said, "The biggest disappointment is we're effective and we're saving a tremendous amount of peak energy, but we're losing about 50 to 45 % of our trees. We think 10% of those don't really count because the homeowner never plants them. So that number really is 35." "There are many reasons why newly planted trees don't survive." Dr. Nowak said, "Truthfully, homeowners should be thinking about what pests are going to be coming out. There is Asian longhorned beetle, which is in the Toronto, NY, NJ area. It's back in Chicago. That one is fairly confined, but if it gets out it will effect a lot of trees. The big one right now is emerald ash borer. It has been working its way from Ohio to Pennsylvania to NY State to West Virginia and other areas. That's attacking ash trees." Nowak said, "There is an injection you can do. It's fairly expensive and fairly effective, and it's probably for more of the high value trees, and you might have to treat these trees every year. There is a similar type of treatment for Asian longhorned beetle. There is a whole host of these pests. There are native pests and exotic pests. A lot of them will attack no matter what. They don't differentiate between an urban or non-urban area." "The question becomes what do you select in the future? If you are in an emerald ash borer area, you might want to think about not planting ash trees. There's so many different ones, along with endemic pests. The thing about urban areas is that we mix commerce. We bring wood pallets and things in from all over the world. 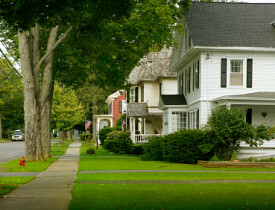 Homeowners need to be aware that there are new pests coming around depending on where you are. If you already have an [infected] ash tree and it's a nice ash tree, you might want to consider doing some injections if you really want to save that tree. If it is a healthy tree and doing fine, don't do anything now," said Nowak. Selecting the right tree involves taking into consideration your local climate, the site you are planting on, soil conditions and the threat of pests. Consulting with a certified arborist is one option. There is also tree selection software on the market. You can also consult with an expert at your local nursery. The Northern Research Station has developed a Web site called iTree. Dr. Nowak said, "On iTree, there is a free tool called iTree Species, which gives you a general listing and allows users to pick from the functions of a tree, like pollution removal, carbon storage, air temperature reduction, and they weight what they want from 0 to 10. Based on what city they put on the database, it will make some suggestions for general classes of types of trees. It has about 1500 species in there, but some of the species adapted for that area might not be on that list." Although iTree is used mostly by municipalities and academics, the team at the Northern Research Station is in the process of developing an application designed for homeowners. The team aims to launch it this summer, so keep your eyes peeled. Photos: Pictured first is a row of valuable trees. Pictured second is Dr. David Nowak.